Happy Friday everyone! This week I've been getting my groove back on in cold processing soapmaking and I think I've found my sweet spot. I was SO happy to get back after my last curing wait period and crazy lye mix-up Frankensoap. BTW, all of the soaps I've made since implementing my fully melted oils have turned out spectacular. I've tried them all out in the shower and they've all been silky smooth with a great, bubbly lather. 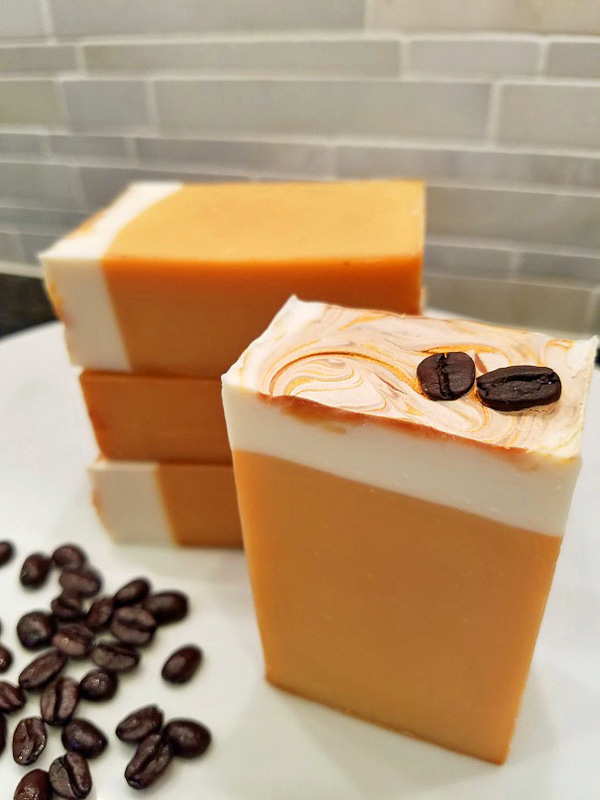 Even the rebatched Honey soap from last week was a hit! I tried it this week and it's amazing. 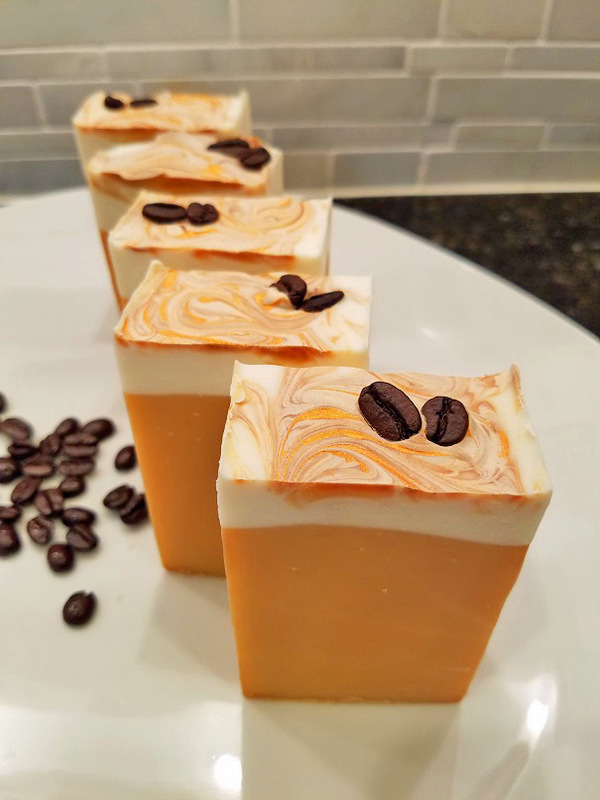 So, with all my new-found knowledge of oil melting practices and lye concentration, I wanted to try out my Espresso fragrance oil from Brambleberry.com to make an espresso soap. Look how daggone cute it turned out! I wanted it to look like a cup of latte, with foam on top, and it smells AMAZEBALLS....sort of like a hazelnut espresso. 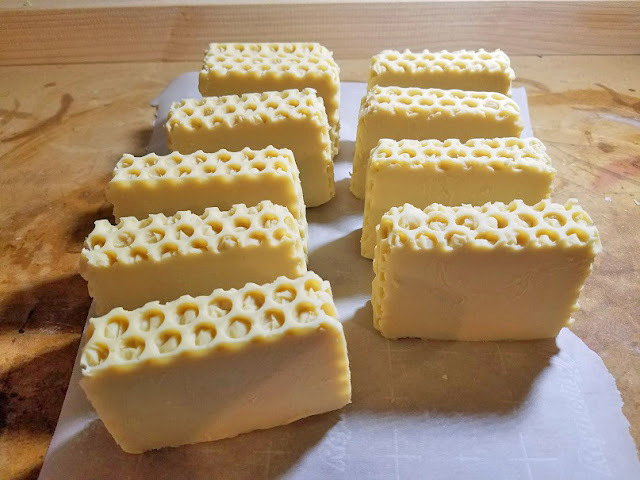 I also wanted to try out ye-old Honey Soap for the hundredth time (if nothing else I'm tenacious) using different water amounts and lye concentration and I feel really good about it. I was able to unmold in LESS than 24 hours and I'm very confident this will feel amazing once it's cured. Still, I used my original recipe and would like to incorporate another hard oil like cocoa butter in it, so it may evolve even more.